TEMPLE, Texas, April 11, 2018 – PDI, (www.pdisoftware.com) a leading global provider of enterprise software solutions to the convenience retail, wholesale petroleum, and logistics industries, today announced it has acquired Dallas-based Excentus, a leading provider of loyalty and coalition marketing solutions for the U.S. retail, grocery, national brands and convenience retail segments. This adjacency expansion complements PDI’s enterprise software solutions while broadening the company’s capability to serve customers better. The acquisition will add over 600 new customers to PDI’s roster and allow PDI to deliver comprehensive, enterprise software technology and data solutions – adding another facet to PDI’s robust suite of ERP and back-office solutions – that customers rely on to drive operational efficiency and increased margin. 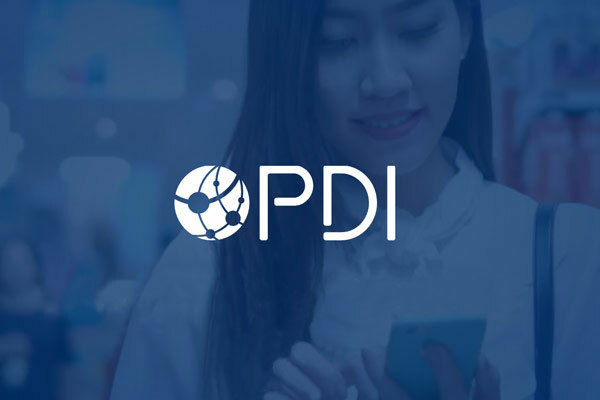 And as market demand continues to grow for consumer loyalty and engagement expertise, today’s acquisition will better position PDI to provide solutions to convenience retail, fuel retailers and national brands. 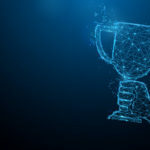 The retail industry is as competitive as ever, and operators are innovating with new products and services, store formats, merchandising and pricing approaches, as well as customer engagement and loyalty programs — while never losing focus on improving the efficiency of their operations. To help them, today’s retail operators want seamless loyalty and data solutions to drive the maximum return on their networks. Excentus’ innovative programs incorporate experiential benefits designed to drive deeper and more valuable customer relationships. Based on more than 20 years of expertise and knowledge in the industry, Excentus has proven that the right loyalty currency can change consumer behavior and has developed a full complement of technologies, marketing solutions, analytics, and know-how to help companies build, manage and improve loyalty programs, offers and promotions across all customer channels, devices and touchpoints. Excentus built its loyalty expertise by owning and operating the Fuel Rewards® program, the first in the U.S. and the largest multi-merchant national coalition program. The Fuel Rewards program boasts over 14.5 million members and has saved its members over 1 billion dollars in fuel purchases since its launch in 2012. In addition to operating and growing the Fuel Rewards program, Excentus is working directly with convenience retailers to deploy its technology, services, knowledge and know-how to help them design, build, and operate effective loyalty programs. PDI will create more value for customers with Excentus’ full-service loyalty technology and marketing services by providing an integrated and unified view of pricing and promotions to help optimize and transform business. “We were excited to learn about PDI’s acquisition of Excentus, and we look forward to the powerful synergies between the technology that drives our c-store operations and the technology that supports our customer loyalty program,” says Steve Spinks, chief executive officer, The Spinx Company. “Both PDI and Excentus are leaders in their respective fields and have been great partners for Spinx for many years. We’re confident that the combined company can bring our operational and customer data together into one platform that will allow us to drive even more value from our stores and to our customers,” he adds. PDI will add Excentus’ Software-as-a-Service (SaaS) loyalty platform into its current portfolio and offerings. The full complement of loyalty solutions deliver analytics and expertise to help retailers go beyond traditional loyalty. Excentus’ solutions use data and analytics to help customers effectively manage consumer relationships and find new ways to increase engagement with more compelling and targeted offers. In addition to driving increased profitability for retailers, Excentus’ analytic expertise and access to data support consumer packaged goods manufacturers that sell goods and services through the convenience retail channel. Excentus’ solutions help consumer packaged goods companies reach their end consumer directly, while providing valuable offer content to its retail customers. 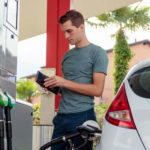 “Excentus has spent 20 years leveraging the power of cents-per-gallon discounts at the pump to drive the Fuel Rewards program and the loyalty programs of our convenience retail and grocery customers. As the loyalty marketing and associated service provider capabilities mature, new opportunities exist to integrate seamlessly with the rest of a retailers’ ecosystem, and leverage data to grow store sales and deliver compelling offers from consumer packaged goods companies.” said, Brandon Logsdon, president and chief executive officer, Excentus. “PDI’s acquisition of Excentus will allow us to deliver powerful, more fully integrated solutions, with unmatched service and features, that will help customers deliver a compelling ROI. 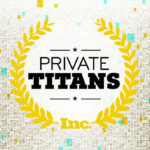 We are proud to join the PDI family and excited about our future together. PDI is committed to continue bringing together the best people, applying the best processes, and combining the best products so that it is the right partner for its customers today, while preparing them to meet the demands of tomorrow. 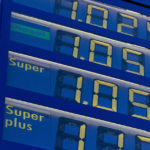 PDI (www.pdisoftware.com) helps convenience store retailers and petroleum wholesale marketers worldwide thrive in a digital economy with enterprise management software. Over 1,200 customers operating more than 100,000 locations trust PDI to optimize their entire operations whether they are a single site, multi-site, dealer or a franchise operator. PDI’s enterprise software, wholesale and logistics management software solutions and retail back office systems have been designed around the evolving needs of customers for more than 35 years. We reimagine enterprise management to help our customers transform their business and deliver exceptional experiences.